The US President made the disturbing playground taunt on Twitter this week after the North Korean leader warned that he could attack the USA by pressing a nuclear button on his desk. Tensions escalated between North Korea and the USA in 2017 with Mr Trump threatening “fire and fury” and the rogue state developing missiles capable of reaching America. But Anwita Basu, lead analyst for North Korea at the Economist Intelligence Unit (EIU), said that war is unlikely to break out in 2018 despite Mr Trump’s “trigger happy” rhetoric. Ms Basu said that both sides want to avoid a full-on war situation, which would leave North Korea completely ravaged by military force and economically destroyed. Meanwhile, Mr Trump is unpredictable and regularly attacks North Korea and other foreign powers such as Pakistan to deflect from problems at home. Ms Basu said: “You name it, he will start a fight. But one also has to remember he has an entire administration supporting him. North Korea apparently ignore Mr Trump’s tweet on Tuesday night. Just hours later, it reopened a long-closed border hotline with South Korea. In his new year speech, Kim Jong-un reiterated that America was the enemy but said that he would only use nuclear weapons if threatened. He also suggested sending athletes to the Olympic Games in Seoul as a way to start diplomatic talks with its southern neighbour. She said that North Korea does not see South Korea as a sovereign state but as a unfortunate “lost brother” who needs to be brought back into the fold. Going into 2018, the biggest risk is that either the USA or North Korea makes a “mistake” such as launching a missile that backfires and hits the wrong place. The EIU forecast for 2018 said that North Korea has made progress in developing nuclear weapons and a long-range missile that can threaten US soil. 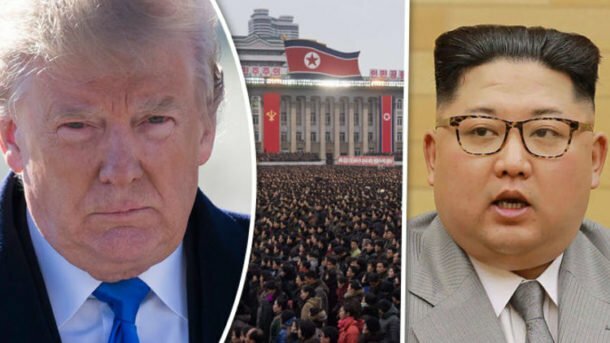 It said: “The combination of a more aggressive stance by the US and the likelihood of North Korea becoming a fully fledged nuclear state capable of hitting the US mainland by 2018 or early 2019 could result in an escalation to major armed conflict. “Indeed, risks will be heightened over the next two years, with some in the US calling for a preventative strike before North Korea has the capability to launch intercontinental nuclear missiles. “However, under such a scenario North Korea would almost certainly retaliate with conventional weaponry and potentially shorter-range nuclear missiles, bringing devastation to South Korea and Japan in particular, at enormous human cost and entailing the destruction of major global supply chains. We have weapons that can strike U.S.